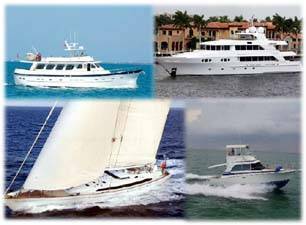 Robbins Flynn is a yacht broker in Mobile, Alabama. Born on the Outer Banks, he grew up on the Gulf of Mexico and as the song goes; “he is the Son of a Son of a Sailor.” He started boating at three years of age; and competitive sailing by nine. At fourteen he was studying for his hundred tons license, piloting the Dauphin Island Ferry near his home on Mobile Bay, alongside his Grandfather piloting the ships. Flynn has sailed on the waters of Mobile Bay to the Mediterranean and hopes to enjoy the South Pacific in the near future. He is a Graduate of Spring Hill College and has been involved in numerous civic and private organizations that benefit the community. When he is not showing a vessel, he strives not to be the worst fisherman on the Gulf Coast. Being around Robbins you truly know how much he likes people and boats. The smiles and laughs that he broadcasts are memorable. 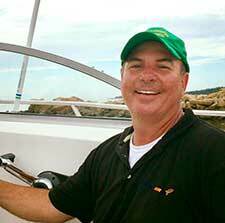 He believes in a nautical lifestyle that will be as uplifting and life changing for you as it has been for him. His endeavor is to find you the best vessel that will add fun to your life while insuring a financially sound decision for your future. Happy clients, acquiring the best vessel that will become part of the family while giving you great memories for life; what could be more rewarding? Reach Robbins by phone at 251-232-9717 or by e-mail: robbins@curtisstokes.net.